Riots. Terrorist attacks. Neo-Nazi violence. 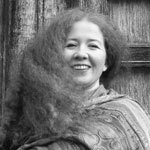 In modern-day Germany, journalist Catriona McClelland has seen it all while covering the contemporary European scene for a Catholic news organization. Keeping herself above the political fray in her professional life, she has also managed to keep herself from personal entanglements—still hurt from the wounds of a broken relationship. Things come to a head when her boyfriend Dennis, frustrated with a lack of commitment, leaves her for Suzy Davis, an idealistic young Canadian who is involved with a left-wing protest movement. But when Suzy is murdered… who is complicit and who is innocent? Ripped from the headlines, Ceremony of Innocence is a very contemporary novel of Europe on the edge of social breakdown. Train stations are bombed and migrants targeted for violence as journalists and other tastemakers watch from their positions of privilege. Dorothy Cummings McLean’s realistic narrative does not describe the feats of heroes. Rather, it unnervingly lays bare the way religious faith and moral reasoning can be easily manipulated and compromised. 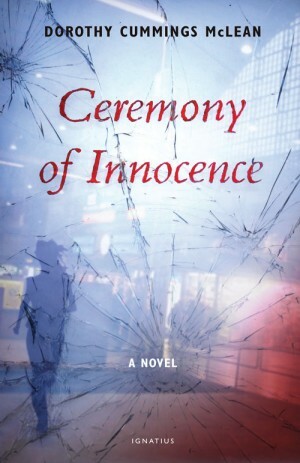 Find other books and articles related to Ceremony of Innocence.